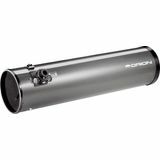 Superb high-power performance, compact lightweight design, sharp high-contrast view, and clearly defined astrophotography capabilities make the Orion 180mm Maksutov-Cassegrain perfect for the advanced planetary observer or astrophotographer. 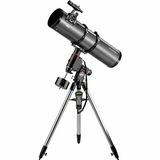 This compact large-aperture f/5 refractor telescope is perfect for wide-field views and deep-sky pursuits. 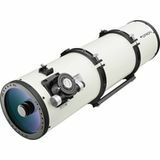 Weighing in at just 8.6 pounds, the 120mm f/5 Refractor OTA makes a great portable telescope for astronomers on-the-go. 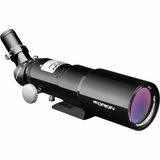 This impressive Maksutov-Newtonian imaging telescope rivals the performance of more costly instruments, at a fraction of the price. 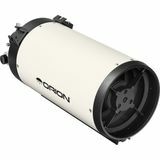 The Orion 190mm Mak-Newt delivers crisp and detailed views and images of even the faintest deep-sky objects. 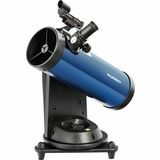 Go after even the most elusive and faint deep-sky targets with the Orion 10" f/8.0 Ritchey-Chretien Astrograph. 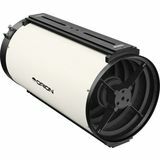 Featuring flat-field, virtually coma-free optics for superb imaging performance, the Orion 10" RC boasts a plethora of deluxe features. 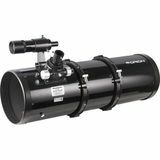 This 8" aperture Ritchey-Chretien optical tube is ideal for the advanced astrophotographer using small format CCD cameras and DSLRs. 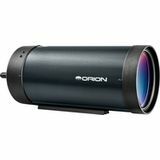 Offers a wide, fully illuminated field with pinpoint star clarity and includes an array of high-end features. 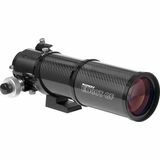 This compact 6"-aperture Ritchey-Chretien optical tube provides advanced astrophotography performance at an incredible price. 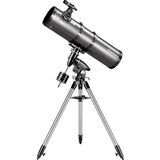 It is ideal for use with small-format CCD cameras as well as DSLR cameras for deep-sky and solar system astrophotography. 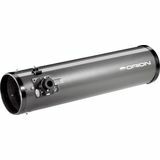 This Orion 203mm Reflector optical tube is perfect for those intermediate observers who already own an equatorial mount. Use the included camera adapter and attach this to your favorite DSLR or CCD camera to begin your astrophotography journey. Do you already own an equatorial mount? 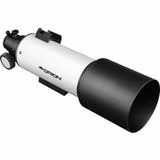 Add the Orion 254mm optical tube to get vivid, close-up views of deep-sky and solar system objects. This telescope includes a prime-focus camera adapter for astrophotography. 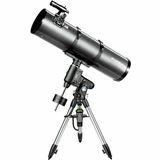 This refracting telescope and mount combo was made with the astrophotographer in mind. 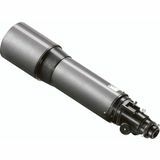 The Orion Sirius ED80 GoTo mount has over 42,000 objects that can be found at the push of a button. ED glass allows for clear, bright images, free of false color. 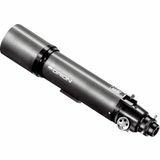 For the advanced astrophotographer, the Orion Sirius 8 EQ-G GoTo telescope allows you to capture sharp clear images. 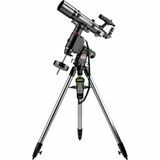 Over 42,000 celestial objects can be located wirth pushbutton ease and a built-in ST-4 port makes guided astrophotography easy. 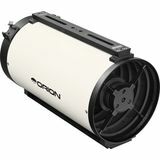 The Orion Atlas 8 EQ-G GoTo reflector is great for the advanced astronomer. The computerized GoTo mount can locate and track over 42,000 celestial objects, and the telescope is great for all types of visual astronomy and astrophotography. 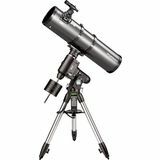 A great telescope for the advanced observer or astrophotographer, the Orion Atlas 10 EQ-G GoTo is good for viewing faint details or taking pictures of most celestial objects. The GoTo mount can locate over 42,000 objects and track them automatically. 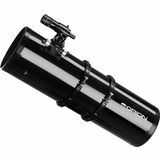 The fully coated Orion CT80 refractor is a compact, 80mm aperture telescope optical tube that delivers bright, wide-field views. Great for use as a guide scope, or for daytime viewing and stargazing. All accessories sold separately.